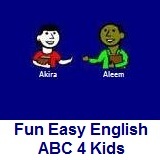 ﻿ Fun Easy English - new writing english alphabet for kids letter m.
Hey kids, try writing the letter M.
I learned how to do a few magic tricks. I could see the moon tonight. Maple syrup tastes good with pancakes.